This is an example of a module published to the top_row_1 row. This module is using the class "-white" which can be used on any dark background. This row contains 6 modules, read below for a full description. This is an example of a module published to the top_row_2 row. This module is using the class " white-title" which can be used on any dark background. This row contains 6 modules, read below for a full description. 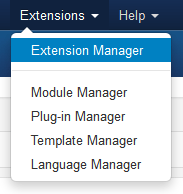 This is the "split-title" module style and can be applied to most module positions and can be added to other classes, eg: "dark split-title".